This is an example from the same source as the snippet itself–Rick R. Duncan. As you can see, there are a lot of ways in which you can white label WordPress to meet your branding needs. You can use simple plugins and snippets or complex plugins to get the job done based on your preferences. Have you ever used any of these snippets or plugins? 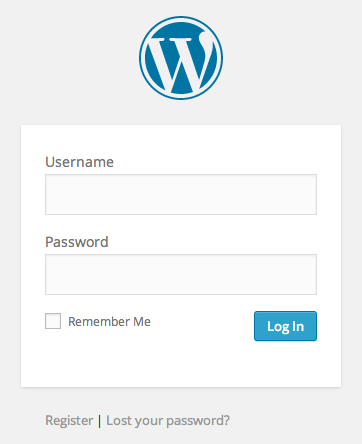 Or perhaps you’ve used other means to white lable and/or customize the WordPress admin area? We’ve love to hear you story. Please take a few moments to share it with us and the whole community in the comments below. How do you add these code snippets to a child theme? I have tried to include the functions.php file in my child theme before but i always get errors. Thanks for writing up on this. I’ve been playing around with WP admin customization for years now, and have definitely checked out some of your recommendations. Out of everything that I have tried, Retina Press (http://codecanyon.net/item/retina-press-wordpress-admin-theme/4872562) has been my favorite and I am using it on almost all of my sites. WPShapere has been pretty awesome too, and offers a bunch of options as far as adding links to the admin bar and customizing the admin menu. In its admin panel it also has areas for you to enter in your own css. I use this for one of my sites and kind of want to make the switch, but Retina Press has been good to me for so long and I feel a little guilty. Also, for full admin customization, the free adminimize plugin (https://wordpress.org/plugins/adminimize/) is amazing. It is a bit more robust and customizable than the admin menu editor, and you can even enter any css selectors throughout the WP admin and hide those elements based on user roles. There are so many more plugins out there to customize admin functionality, it’s great that WP has such an amazing community out there. Awesome ideas Nathan! Thanks for the tips. Wow. I am quite of a beginner in the WordPress scene and was always wondering how others do it. Thank you for this post. I’ve personally used and prefer white label branding, which offers a great amount of control to branding both your login and admin screens, but after reading this I think I’m going to try the manual approach to the functions.php. It’s getting all too easy to get lazy and use plugins and with great tips like this I’m not sure how you can go wrong! Great ideas, Nathan. Another useful post that’s going in my Bookmarks. I tried to add the snippet code for changing the logo on the login page, on the bottom of functions.php. But it is showing error. The White Label CMS plugin is only compatible to wp 3.8. That must be over 1 year ago. Whilst it may work with 4.0.1 it would be great if you have demo’d this to mention the version compatibility. I would suggest only recommending or reviewing plugins that are actively updated and compatible with latest versions. I’m a long user for Erident Custom Login plugin (https://wordpress.org/plugins/erident-custom-login-and-dashboard/). This one helps me to customise the default login page very easily. Give it a try. It have tons of features!! This was a well written, easy to follow, and extremely helpful article. Keep up the great work Nathan and looking forward to the next post. Cheers! your code for `function change_footer_admin ()` is wrong, please correct it.